Over the last 20 years, Delray Beach has dedicated time and resources to determining how to fulfill the quality of life, growth and vision of the West Atlantic Community. There have been charrettes, cluster studies, redevelopment plans, neighborhood plans and needs assessments, all aiming toward the creation of a vibrant district that preserves the unique cultural heritage of the West Atlantic Community, while positioning the area for economic growth into the future. 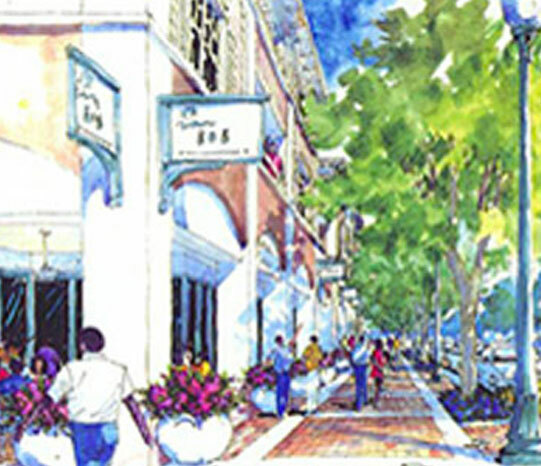 In 2015, as the City of Delray Beach continued to experience growth, development and sustained interest from expanding audiences, the governing board of the West Atlantic Redevelopment Coalition (WARC) took steps to capitalize on the investment in its region. The West Atlantic Avenue area is defined as the historical, residential and business communities surrounding and adjacent to the corridor from I-95 east to Swinton Avenue. After several months of analysis, research and planning, WARC launched the West Atlantic Branding Initiative to not only create a solid branding platform with which to solidify an identity for its stakeholders, but also to market the region to potential visitors, businesses and residents. The goals of the initiative are to define West Atlantic Avenue’s most compelling and attractive features with an identity that builds interest, awareness and recognition among both internal and external audiences. The West Atlantic Branding Initiative is a comprehensive, qualitative and quantitative research-based process, led by WARC, and implemented by CaliBrand Consulting, Inc., to determine West Atlantic Avenue’s competitive condition and how it is perceived among existing and potential consumers. The process also includes a thorough review of existing research conducted by City organizations on the needs, strengths and capabilities of the West Atlantic Avenue area. The initiative’s work began in June 2015 and will continue through the first quarter of 2016 with the analysis of market research to be conducted by the end of 2015, the development of a brand identity for the West Atlantic Avenue corridor, and the implementation of a marketing strategy that brings pride to the existing stakeholders while drawing new audiences to the area. 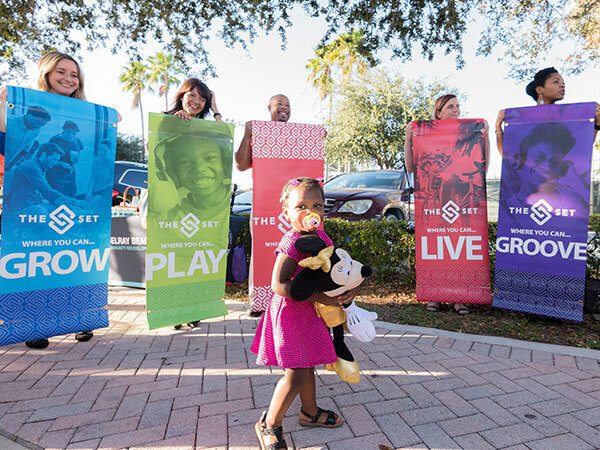 WARC hopes to integrate the unique, historical character of the West Atlantic Avenue communities in a brand and marketing approach that resonates with audiences nationwide. Its goals also include creating a distinct and memorable “personality” for its area that will support the highly recognized persona of The City of Delray Beach. In addition to WARC, the West Atlantic Branding Initiative is supported by Delray Beach’s Downtown Development Authority, City of Delray Beach’s Office of Economic Development, Delray Beach CRA, the Delray Beach Marketing Cooperative, Greater Delray Beach Chamber of Commerce and the Spady Cultural Heritage Museum, as the partnering organizations seek to augment and collaborate on the best methods to promote the area’s unique offerings and appeal.